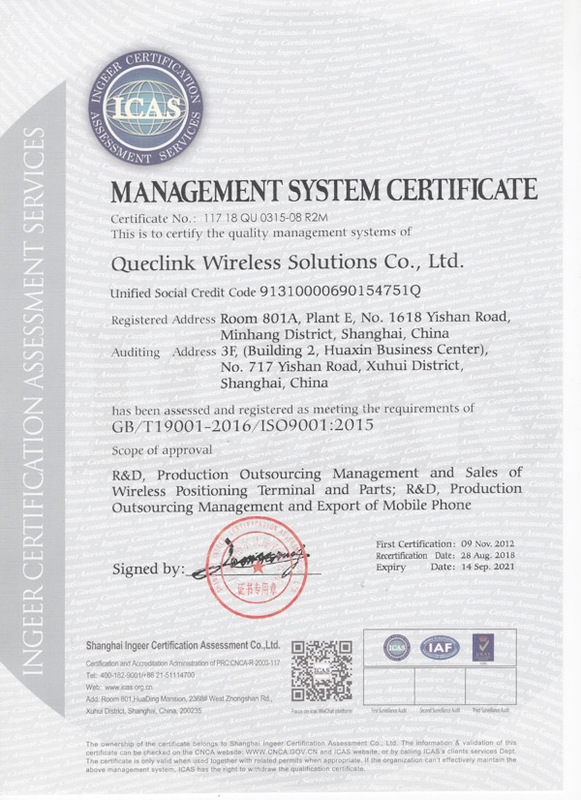 In December 2010, Queclink Wireless Solutions Co., Ltd. was awarded the high-tech enterprise certificate. 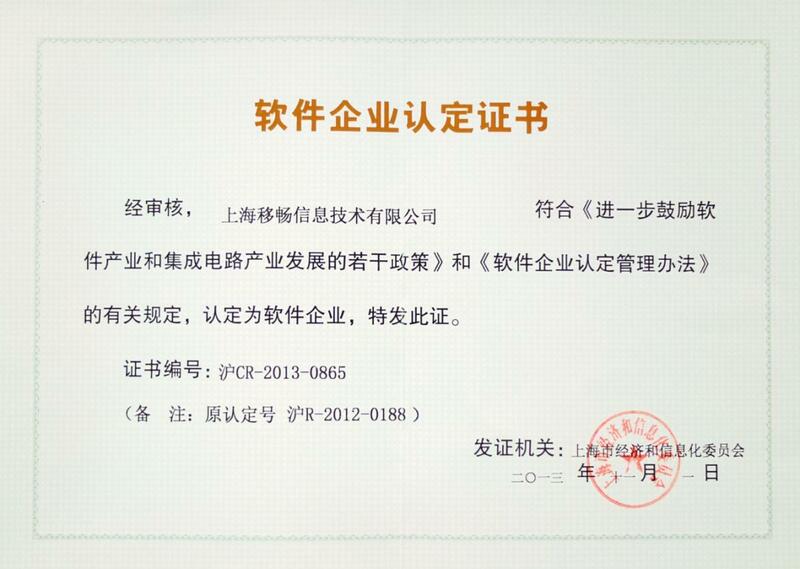 In May 2012, Queclink Information Technology Co. Ltd was approved as a software enterprise and awarded the certificate. Queclink Information Technology Co. Ltd is a wholly owned subsidiary of Queclink Wireless Solutions Co., Ltd. 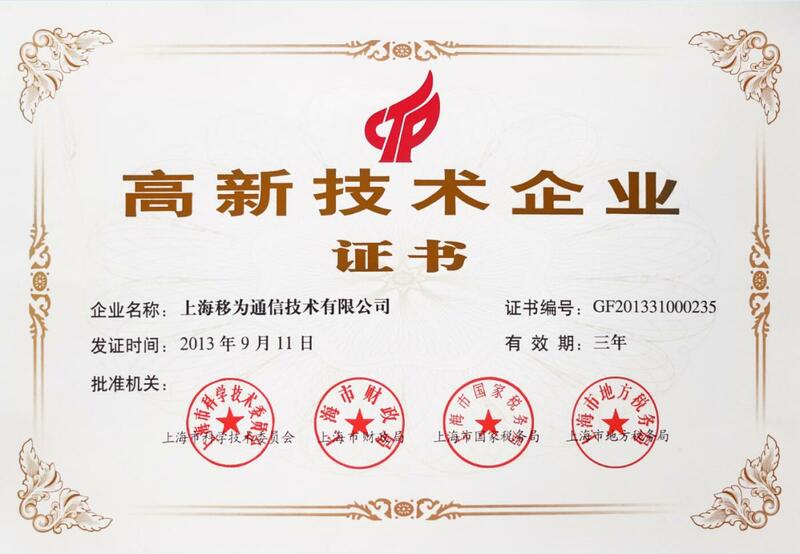 In November 2012, Queclink Wireless Solutions Co., Ltd. has obtained ISO 9001:2008 certification. 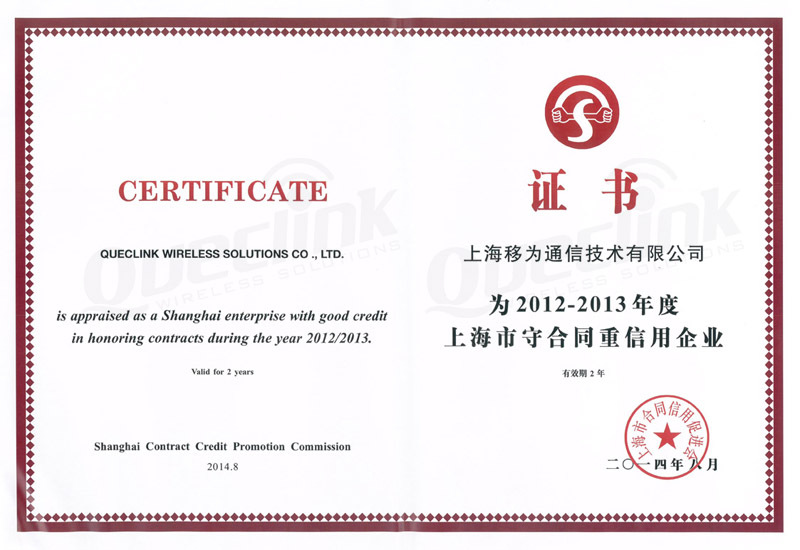 In August 2014, Queclink Wireless Solutions Co., Ltd. was appraised as a Shanghai enterprise with good credit in honoring contracts during the year 2012/2013. 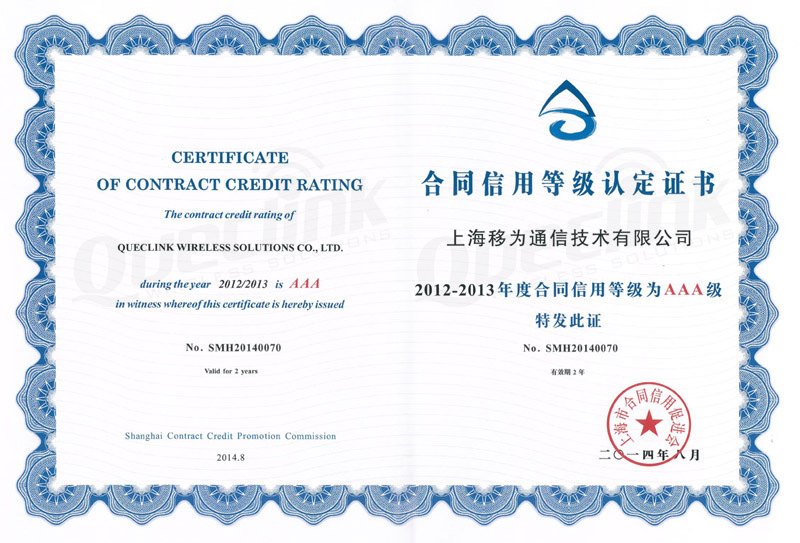 The contract credit rating of Queclink Wireless Solutions Co., Ltd. during the year 2012/2013 is AAA.